1. 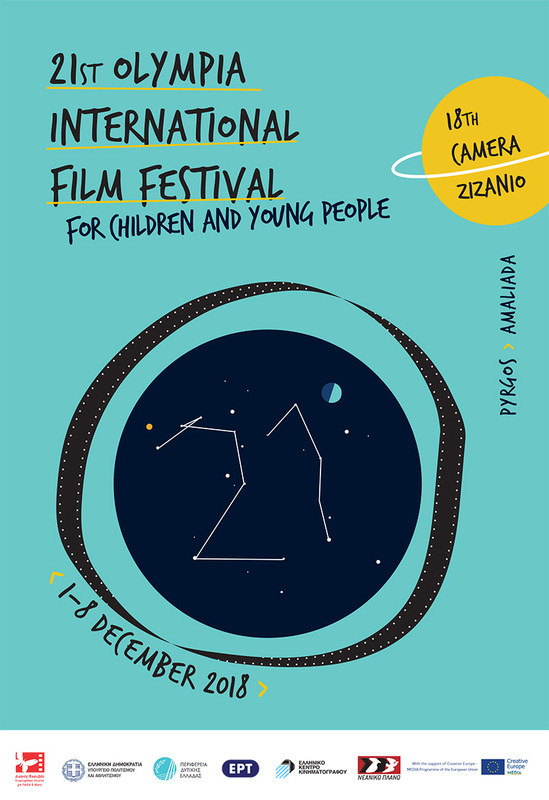 The 18th Olympia International Film Festival for Children and Young People will be held at the city of Pyrgos from November 28th to December 5th, 2015, while other special programs will be held in Ancient Olympia, other cities of the Ilia Prefecture, and Athens. 2. Feature Films, Documentaries and Animation also Short-Length Films are accepted. 3. Each Entry Form should be filled-in and signed by both the producer and the director. A DVD with complete film dialogues in English or French translation should be submitted along with the Entry Form. Entry Form and DVD should reach the Festival offices by September 15th, 2015 at the latest. The Festival Committee wishes to keep the DVD of films submitted for its archives and invites film-representatives to grant their permission on the Entry Forms. If this permission is not granted, the DVD will be returned after viewing. 4. The film prints of the selected films should reach the Festival offices by November 10th 2015 at the latest along with film dialogues in English. The Jury may also award other distinction-prizes for special artistic film qualities. The Children’s Jury will award prizes also. • The International Centre of Films for Children and Young People / Centre International du Film pour l’Enfance et la Jeunesse will award the CIFEJ Prize to a feature film that adheres to its principles. • The European Children’s Film Association will award the ECFA Award to a feature film that adheres to its principles. 6. The Festival will cover one-way transportation and insurance costs for the period starting from dispatch, through viewing and up to return of the films. In case of loss or damage, the Festival is responsible only for the value of the film copy. 7. Film excerpts submitted for television broadcasting must not exceed three minutes. 8. Request to participate in the Festival implies acceptance of these Regulations. The Artistic Director of the Festival will determine on any misinterpretation concerning the present Regulations.